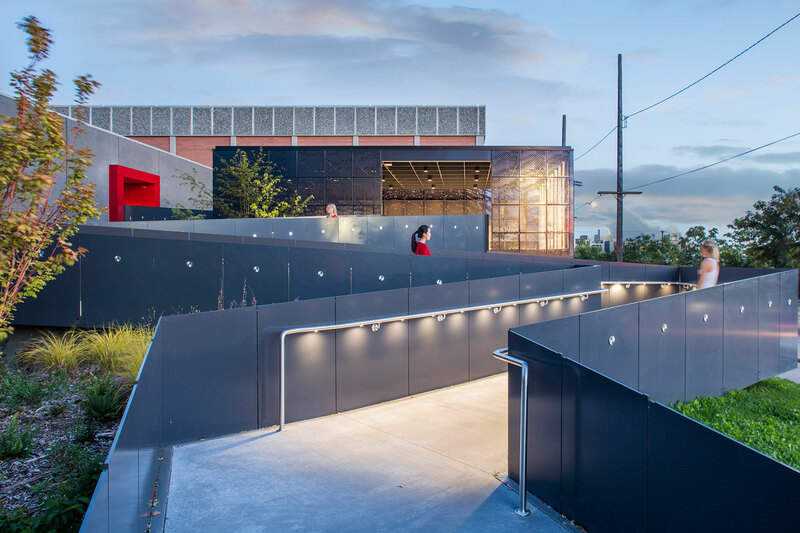 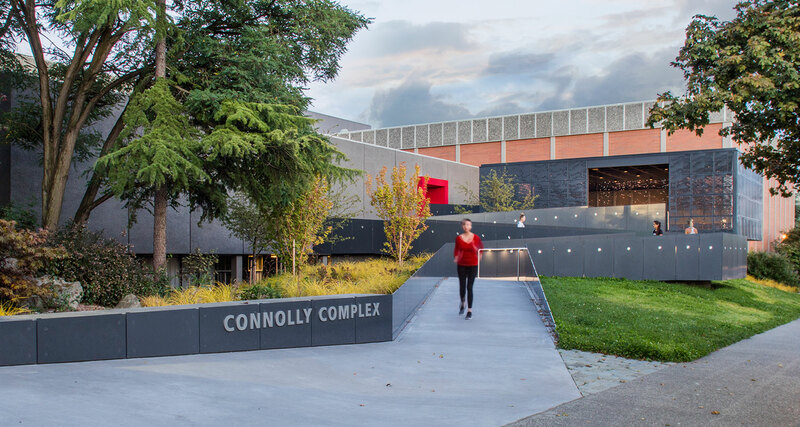 As part of the Title IX improvements to Connolly Center, Berger Partnership worked with Gensler and Seattle University to create a fully accessible entrance to the sporting venue. 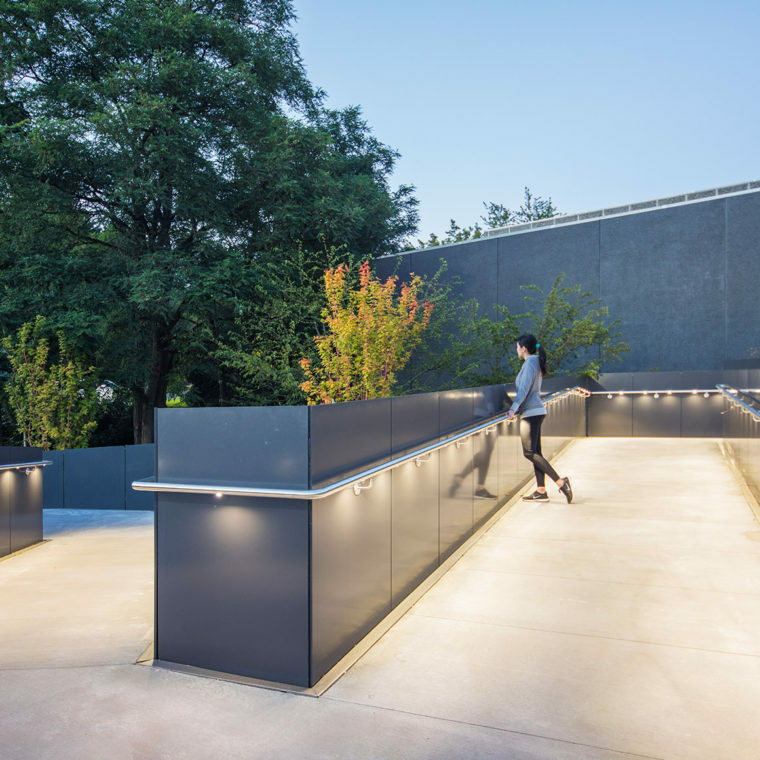 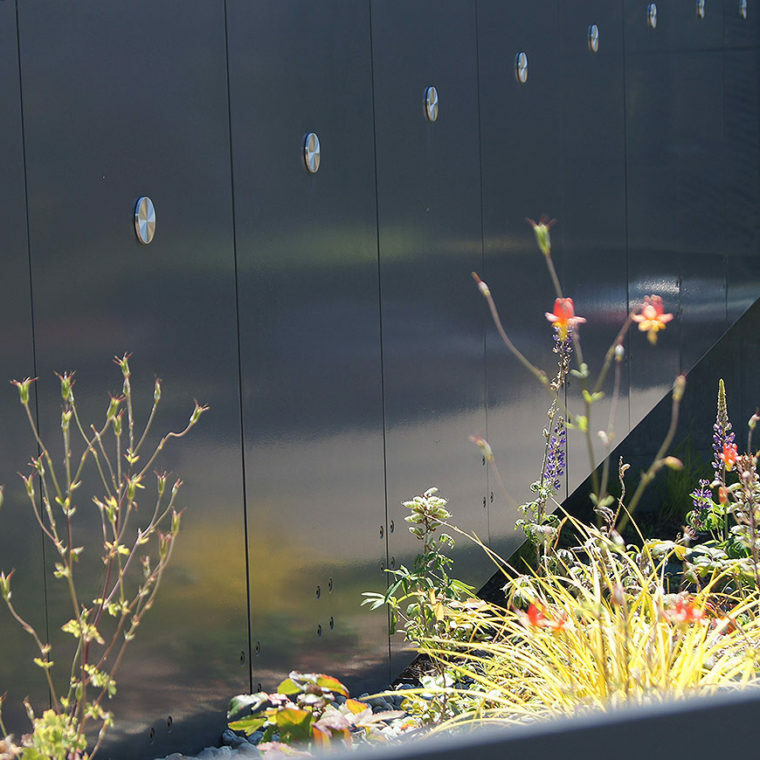 Built into a created sculptural landform, the ADA walkway provides a memorable and intuitive game day experience while connecting to the university’s overall wayfinding and branding strategy. 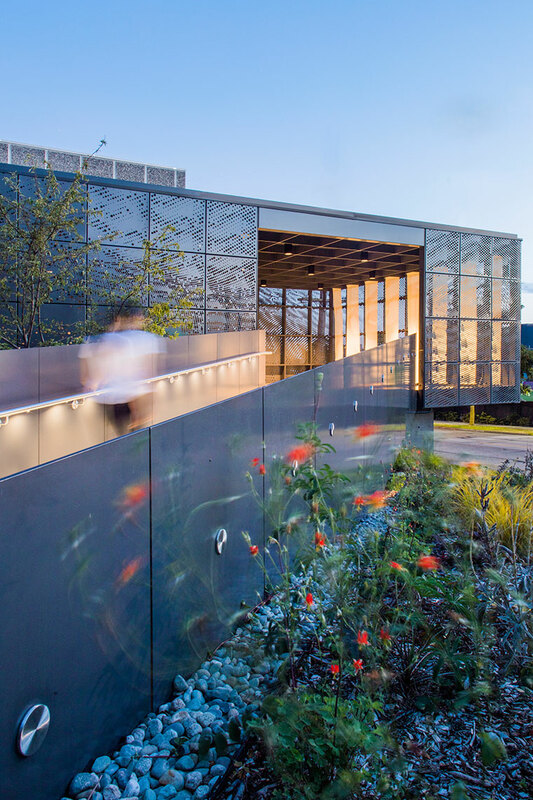 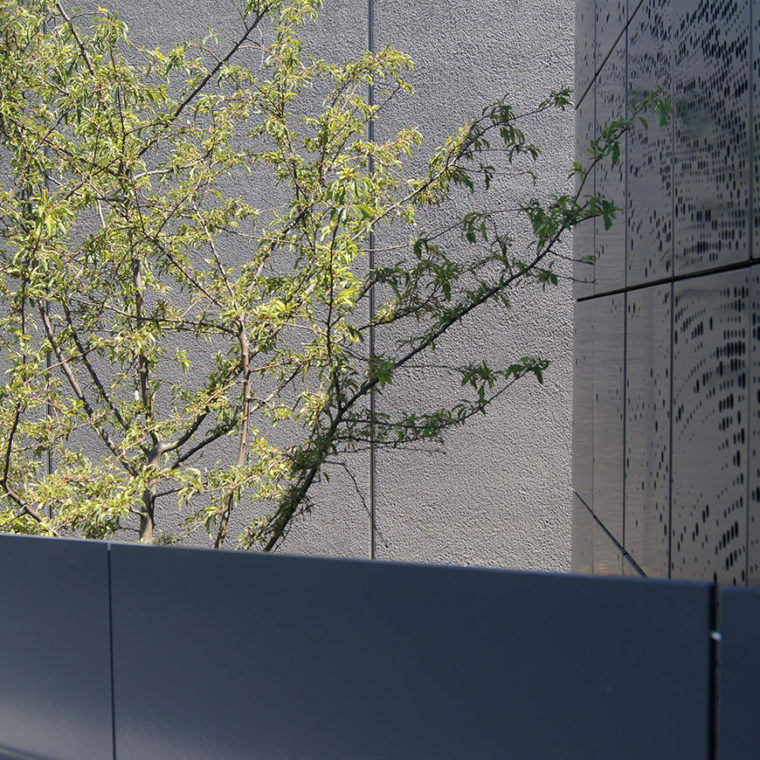 A courtyard of medicinal plants add a layer of interest to the Allied Health building home to health labs, clinical simulation classrooms, computer labs, faculty offices and support space.